Dr. Rosemary Ann Hakes, age 64, of Escanaba, passed away Friday, June 8, 2018 at U.P. Health System – Marquette. She was born on December 3, 1953 in Escanaba, the daughter of Orville and Angeline (Mori) Hakes. Rosemary was a very talented musician where she began singing at the young age of 5 and playing the saxophone at the age of 10. At age 14, she was accepted into Interlochen Arts Academy in Traverse City, MI where she completed a high school/music major degree in 1972. 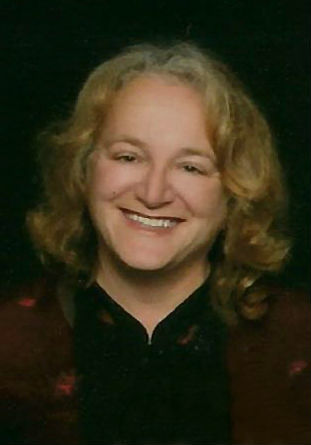 Rosemary furthered her education at Western Michigan University where she received a Bachelor and Masters of Music Therapy Degree, a Masters Degree in Counseling, and also a PhD in Counseling. Rosemary was employed by Borgess Health and Western Michigan University in Kalamazoo, MI for many years and later at Bay Pines Center in Escanaba. She also owned and operated The Counseling Center, a private counseling and consulting practice in Escanaba. Rosemary was affiliated with many professional organizations including; American Counseling Association, American Music Therapy Association, Association for Counselor Education and Supervision, and The Performing Arts Medicine Association. She was very involved with End the Silence Walk in Escanaba for suicide awareness and prevention. Rosemary was a member of Immanuel Lutheran Church in Escanaba where she served on the church counsel and looked forward to her weekly bible study with her dear friends, “The Wildflowers.” Rosemary loved the simple things in life, especially walking her dog Lucy in Ludington Park. She also loved the creative arts, especially photography, poetry, art, and imagery. Rosemary never gave up on her love of singing; she was a member of the Immanuel Lutheran Church Choir and the Escanaba Choral Society. In 2002, she helped establish a local singing group called, “Mood Swing,” of which she sang in for 12 years. Rosemary was a beloved daughter, niece, cousin, “auntie,” and friend of many who will be dearly missed. Rosemary Hakes is survived by aunts, uncles, cousins, and friends. She was preceded in death by her parents, Orville and Angeline Hakes; and her aunt, Pauline Jones. Visitation will be held from 10:00 a.m. to 11:45 a.m., Wednesday, June 13, 2018 at the Anderson Funeral Home in Escanaba. Funeral services celebrating the life of Dr. Rosemary Hakes will follow at 12:00 p.m., Wednesday, at Immanuel Lutheran Church in Escanaba with Rev. James Holmberg officiating. A luncheon will be served afterward in the church fellowship hall. Burial will take place in Gardens of Rest Cemetery.